Teleportation, time travel, antimatter and wireless electricity. It all sounds far-fetched, more fiction than fact, but it's all true. Everybody is used to science fiction featuring science that seems, well, not very scientific. But you might be surprised at the way some things that seem fantastical have a solid grounding in actual science. The theory: Build a machine that lets you change the past or visit the future. The science fiction: The Time Machine by HG Wells, where the Time Traveller visits humanity's far future and doesn't like what he finds. In practice: Einstein's relativity allows time travel in extreme circumstances. Some interpretations of quantum mechanics permit particles to travel backwards in time. Two physicists recently suggested that the Large Hadron Collider may have malfunctioned because a Higgs boson particle, travelling back in time from a future experiment, wrecked the machine. 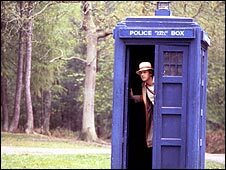 The layman's explanation: Time travel seems paradoxical - what happens if you go back in time and kill your own grandfather? But current physical theories do not forbid it. In relativity, particles can travel along "closed timelike curves", going round a time-loop from past to present to future and back to the same past. One theoretical method uses a wormhole, which is a black hole linked to its time-reversal by a tube. If you pull the black hole around near the speed of light, you get a time machine. However, you need a special kind of matter to keep the wormhole open, and we don't yet have any. Quantum mechanics involves a fundamental symmetry in nature. If you swap positive and negative charges, reflect the universe in a mirror, and reverse the flow of time, then the laws of physics don't change. So a Higgs boson travelling backwards in time is the same as an anti-Higgs travelling forwards. Coming to a shop near you? : In about 15,000 years at this rate, assuming new laws of physics don't rule it out. This wireless electricity would probably not charge your mobile. The theory: Plug your gadgets into the mains without using a cable. The science fiction: Isaac Asimov's 1941 story Reason is about a solar power station run by robots that transmits energy to Earth. In practice: Electricity and magnetism are "fields" in space, and can be converted into each other. Electromagnetic radiation is a wave, and can travel from one place to another. So in principle wireless transmission of electrical power should be a doddle. Edison thought about it in 1875. The layman's explanation: If you move a magnet, it creates an electrical field. If you move an electrical field, it creates a magnetic one. The two are different aspects of one basic force of nature - electromagnetism. In particular, electrical currents can be transported from one gadget to another over a distance, a process called induction. Electrical generators and motors use this. Microwaves, which are effectively light with a very long wavelength, are a practical way to transport electrical power. It is also possible to turn electricity into light, using a laser, and then reverse the process at the other end. Coming to a shop near you? : In 1975, an American team showed that it's possible to transmit tens of kilowatts of power using microwaves. A few months ago a Japanese consortium announced a plan to build a $21bn facility in space to beam solar power to Earth - within 30 years it could supply 300,000 homes with electricity. This year, at the TED conference in Oxford, the company Witricity demonstrated a wireless power system that can recharge mobile phones and TV sets. In Tesco in time for Christmas. The theory: There is a special kind of matter which explodes violently on contact with ordinary matter, producing more energy than a hydrogen bomb. The science fiction: Star Trek uses antimatter to power its warp drives. In practice: Paul Dirac should have predicted antimatter using quantum mechanics in 1928 but he fluffed it. Carl Anderson spotted the first antiparticle, the positron, in 1932. In 1995, the CERN particle accelerator facility in Geneva created atoms of antihydrogen. The layman's explanation: Matter is made of extremely tiny particles, which have various masses, electric charges, spins, and so on. Associated with each particle is an antiparticle with the same mass but opposite charge. If the two collide, they annihilate in a burst of energy. A small mass produces a lot of energy thanks to Einstein's famous equation - energy = mass times the square of the speed of light. The Big Bang somehow produced a billion and one particles of matter for every billion particles of antimatter. No one really knows why, but if it hadn't, we wouldn't be here because there wouldn't be a here for us to inhabit. You might think of antimatter as a compact source of almost unbounded energy. Put some in a magnetic bottle, a magnetic field that confines the antimatter in a cavity so that it doesn't touch any normal matter - the only way known to be able to contain it - and then release it very slowly, allowing it to react with normal matter. It would make fusion power seem like a car battery. Coming to a store near you? : Positrons are very ho-hum. They occur in radioactive decay and are used routinely in medical PET (Positron Emission Tomography) scanners. Beyond those, it gets hard. Expect a few thousand atoms of antihydrogen within the next 50 years, costing the GNP of a small country, and an atom or two of heavier elements. Mass production looks like a long shot. The theory: Going from here to somewhere else without passing through anywhere in between. 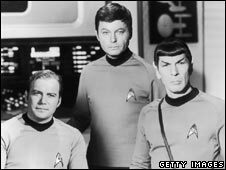 The science fiction: Beam me up, Scotty. In practice: Take two particles of light and entangle them - now you can teleport quantum information - such as what their spin is - from one to the other, instantaneously. The layman's explanation: Photons, particles of light, have a property called "spin". This can be up, down, or a mixture of the two. Alice has a photon, and she wants Bob to have one with the same spin. She can't send him hers because the Post Office is on strike, and she can't measure her spin and phone him, because the measurement can change the spin. Fortunately, the last time she met Bob she gave him one photon from an entangled pair, and kept the other. "Entangled" means that the two photons were prepared so that their states were related in a special way. Alice lets her photon interact with her other photon from the entangled pair. This instantly teleports information about the spin to Bob's half. However, he can't "read" that information until a message arrives by more conventional means. A quick call on Alice's mobile, telling him some measurements she has made, now puts his entangled photon into the desired state. Quantum "teleportation" destroys the original state and can't be used to send messages faster than light. It doesn't actually teleport matter - just quantum information. Coming to a store near you? : In 1998, the quantum optics group at Caltech used "squeezed light" to teleport the state of a photon in a laboratory. It's now been done with atoms, too. In 2004 Austrian physicists teleported the state of a photon across the Danube river. Within another century it will be an amoeba. But be warned: when you are teleported, your body will be ripped to shreds and rebuilt at the other end. Ian Stewart's latest book is Professor Stewart's Hoard of Mathematical Treasures, published by Profile. NiKola Tesla patented a method of "broadcasting" electrical power wirelessly in the early 1900s. It was proved to the point of building a number of transmission buildings/aerials in the US. I've had a look at a number of Mr Tesla's patents but not, I admit, this one. I'm an engineer by training and they do seem to hold water. I rather suspect that "free" electrical power in the US wasn't an idea that would be welcomed by some of the power generation companies at the time. However, one of his patents, a non-silicon and very cheap solar panel, would certainly be worth looking into. Brill! We shouldn't get hung up on practicalities; there are plenty of political and commercial filters that will stop us wasting all of our GDP on making antimatter in fuel-like quantities anytime soon. But it's great to dream of possibilities, and to keep alive the sense of exploration. Today's problems are horribly real and need solving, of course, but these far-off futurescopes are the ideas that will inspire people to study, research, develop and invent. In Nikola Tesla's experiments in Colorado over a century ago, he successfully transmitted sufficient power by wireless to light 10,000 watts of electric light bulbs at a distance of 26 miles. See The Man Who Invented The Twentieth Century by Robart Lomas. Tesla could easily have transmitted electricity... it's how a radio works after all. The problem is that if he received 10,000 watts he must have broadcast about a million watts. Hardly eco-friendly and in a world where you can't put up a phone mast near a school not very popular. I wonder what radio or TV reception would be like during the experiment too. I have been already fascinated by inventions or events once imagined by writers like Jules Verne and Arthur C. Clarke. As I read through my dad's collections of sci-fi books, ideas like time-travel and "anything to everything converter" are etched in to my mind. These are what I think before I fall in to sleep everyday even now. Science is surely one of my religions. I don't understand any of it, but I can't be the only person who is awaiting the implementation of wireless electricity with anticipation; imagine how much more space we'd have behind things like computers and televisions. As a teacher of physics none of these are worthy, as they are either wasteful of energy or far too embroiled in unimaginable complexity and unproven theory. Even "charge your mobile phone without a lead" uses more energy than if you plugged it into the mains. As a keen follower of sci-fi, I would love for teleportation to become a reality, but can you imagine putting all our atoms and molecules back in the right order after beaming from the Earth to the Moon. Furthermore, which nutcase would volunteer to be the first? Why cant we leave sci-fi for the movies and comic books? These inventions etc will not bring anything good out of them, radiation, worm-holes, microwaves and the cost implications will be ridiculous, do we not have better things to solve such as curing diseases and making life more bearable in times like these? James McLeod, science does have its uses. Antimatter, in the form of positrons, is used in PET scanners. Radiation is used to cure certain cancers. One of the major spin-offs from the space race is cheap water purification. Pushing the boundaries of science produces countless benefits for everyone, often in unexpected areas. If we didn't experiment with new ideas, we'd still all be living in caves. All very interesting, but not much hope here. What about fusion? Cold fusion would be comparable to this list, and fusion (any sort) may be one significant real hope for the future. And I'd be interested in some recent scientific evaluation of it. "Quantum mechanics involves a fundamental symmetry in nature. If you swap positive and negative charges, reflect the universe in a mirror, and reverse the flow of time, then the laws of physics don't change". That was the layman's explanation? It makes me laugh when people cling on to the likes of Einstein. Yes time travel is possible - it's a fundamental principle of relativity. This is totally different to how the layman sees time travel. It is totally impossible to send me, you or anyone back to the 1920 like in Back to the Future - end of. Moving clocks run slowly, that pretty much sums up time travel. 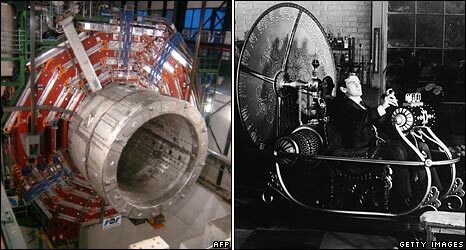 If time-travel were possible, wouldn't someone have come back from the future and told us by now? The "Black and Decker Pizza Hydrator" is what we're all waiting for as seen in Back To The Future II. I loved this article, it's just so funny, from the reason why the Hadron Collider didn't work to the descriptive words of what will happen to your body when we can eventually teleport something bigger than an atom. Thanks, that's brightened my Friday. I am still waiting for flying cars which, by the way, were supposed to be in service by 2010. Imagine the food problems we could solve in the world with a Star Trek style replicator. That one next please. Tea, Earl Grey, hot.